To celebrate the launch of their new and improved website, Gaming Titans is giving away one copy of Battlefield 4 (including the China Rising expansion pack) on release day (October 29). This contest is open to Overclockers.com members worldwide, as it will be a digital download, so you will receive your prize instantly. Winner will be announced on Friday, October 25. Fill out the form at the bottom of this article by 11:59 p.m. Eastern on October 24. For those who don’t win, or don’t want to take a chance on waiting to find out, you will automatically receive a 3% (of the total price) credit towards future purchases on Gaming Titans. This is valid for any game purchase, not just Battlefield 4. Contest Rules: This giveaway is open to Overclockers.com members worldwide. One entry per user. Duplicate entries, multiple usernames per person or other attempts to cheat will be disqualified at the discretion of your friendly neighborhood moderators. Forum membership will be verified before choosing a winner. All emails will be used for the purpose of this contest only, you will not be spammed by Overclockers.com or Gaming Titans at any time. Disclaimer from Gaming Titans: All Gaming Titans products are licensed and subject to valid legal regulations which determined by the publishers. If not stated differently, the game is region-free and allowed to be activated and played worldwide. All the games mentioned in here are region-free and can be activated worldwide. All games require internet connection and valid account (Origin for BF4) for activation. Good Luck! And thanks to Gaming Titans for the giveaway. would be sweet to win. Would be a fun diversion from World of Tanks. I'm most excited about The Witcher 3, can't wait. I'm really looking forward to Assassin's Creed IV! I would have said Watch_dogs, but that got delayed. I think its great that they're doing a drawing just for this forum! Its this kind of thing you hardly see any more from big groups, it'll definitely draw some of my business toward them. David from Gaming Titans here. I just wanted to wish good luck to you all! If you find any of our deals interesting and have questions - I'll be here and on . 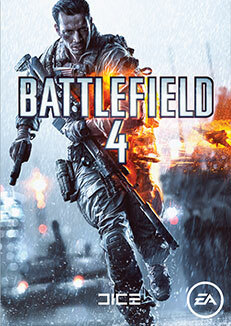 BF4 will be taking up alot of my time in the near future.